I wrote about the Bayou Corne sinkhole in Assumption Parish, Louisiana last September. This update is to fill our readers in on the latest developments in this ongoing environmental—and human—disaster. Residents have moved away from the area since this monster was discovered on August 3, 2012. At that time it was relatively small, but the 350 people living closest to it were evacuated. At that time, no one knew how big it would grow, but based on the Lake Peigneur experience, the Assumption Parish authorities were taking no chances. From what I am told, the local people did not have to be told twice to leave. They left, because they knew what happened at Lake Peigneur in 1980. Their homes near the sinkhole stand vacant. Those families are environmental refugees. So far, 45 of the 65 families who live there have agreed to sell their properties to Texas Brine. About five hours after its discovery in 2012, the hole was about 300 feet in diameter. It now covers approximately 26 acres. Geologists with Texas Brine point out it is still growing, and is probably going to double in size. Jones and Blom now report the earth’s crust moved horizontally about ten inches between June 23, 2011 and July 2, 2012 when they did their flyover measurements. There was no surface movement before 2011. About a month ago, one of the berms that surround the lake began sinking. It is supposed to be about six feet above water level. It sank 4.5 feet. More trees sank into the hole. Note in the video below they slide sideways a good distance before sinking out of sight. Despite the obvious danger, work crews are continuing to work on the berms, doing what they can to slow the growth of the hole. This video was made last Sunday, January 5. Now for the legal twist to the story. Texas Brine officials have complained that a second insurer has refused to pay. They have a policy with Arch Specialty Insurance Company, but Arch is disputing the claim. Last October 22, Liberty Insurance Underwriters Inc. filed a lawsuit against Texas Brine in U.S. District Court in Houston. The lawsuit asks the Court to declare the insurer does not have to pay on its $50 million policy. Liberty alleges Texas Brine had years of warning about a potential salt dome collapse. Obviously, Texas Brine disputes those allegations. 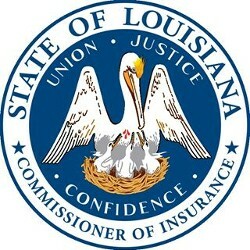 Texas Brine attorney Mark D. Mese wrote a complaint letter to the Louisiana Department of Insurance on December 23. Mese states that Arch Specialty Insurance Co. never reimbursed Texas Brine for any part of its $55 million in costs stemming from the state-mandated response to the ever-growing 26-acre sinkhole. Mr. Mese wrote, “Arch’s conduct violates both the letter and the spirit of Louisiana law governing fair claims handling by insurers.” The complaint adds that Arch ignored requests for a resolution, even reneging on an agreement to meet at Arch company offices in New Jersey on December 12. There is still unidentified geological activity in the area. 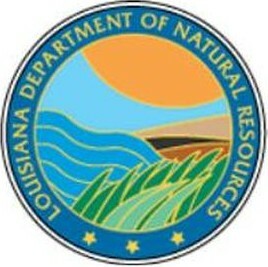 A little before 2 p.m. Wednesday, reports began coming in about tremors with loud thunder noises 45 miles from the Bayou Corne sinkhole, and about 140 miles northwest of BP’s Macondo Prospect oil well in the Gulf of Mexico. There are vast amounts of methane gas in the caverns as well as hundreds of pipelines carrying potentially explosive and hazardous chemicals criss-crossing the area. This is not over yet. The best we can hope for is that no one dies. Interesting one of the insurance companies claim Texas Brine knew of potential hazards for years so they don’t want to pay?!? GUESS WHAT? That insurance company would have written the risk with foreknowledge as well. Both insurance companies should pay after all they accepted the contract of insurance and receipt of payment of premium charged. The families need reimbursement for their loss of homes and Texas Brine needs the company to perform in its behalf as the purchase of insurance was paid to do. Not a dumb question at all. In fact it is the question that most needs an answer. The truthful answer is, ‘no one knows.’ The best estimates so far is that the hole will continue to enlarge to about twice its current size, which would make it cover about 50-60 acres. The salt deposit under Assumption Parish is roughly the size of Mt. Everest. Since some tidal action has been observed on the water surface, and the Mississippi river is just a few miles away, there is potential for fresh water to move through the hole. That means it won’t become supersaturated. Salt can continue to be eroded from the salt dome. Add to that geologic instability, the fact the whole area is slowly subsiding toward the Gulf, and you have a grim long term outlook. There was a public briefing in Assumption Parish on January 14. The video was rather long, so it is broken into six parts. You can see that at this link. Amazing. Thank you. I’m just surprised that with Anderson Cooper coming down there all the time for the 9th Parish, that he hasn’t covered this disaster. I wonder if we could convince him. Dumb question, please forgive me, I am not a geologist. Can geologists find out how big this could possibly get? Do they have the funding and/or the means? I’m asking directly, not rhetorically. I don’t know the answer. Of the 45 residences bought out by Texas Brine, bet NONE were for full value. AND they can not sue for further damages, health issues, etc I bet.